I am a physician board certified in both hematology and internal medicine. Since 1993, I have been a member of the medical staff of Henry Ford Allegiance Health, specializing in hematology and medical oncology. 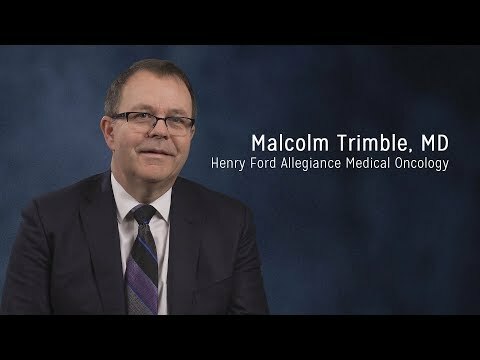 In addition to providing patient care, I serve as the regional chair of the Henry Ford Allegiance Health Cancer Committee, a group of oncologists and other cancer specialists who direct the quality standards of our cancer program, including accreditation requirements and continuing education for staff. I am also the principal investigator in the HFAH Clinical Trials Program, and a member of the HFAH Lung Cancer Disease Site Team. My administrative duties with Henry Ford Health System include serving as co-chair of the Clinical Protocol Review Committee and membership in the Henry Ford Anticoagulation Subcommittee, the Hematology-Oncology Subcommittee, and the Henry Ford Cancer Institute Clinical Council. My primary focus is always on providing the highest-quality care to my patients and their families, following evidence-based national guidelines.